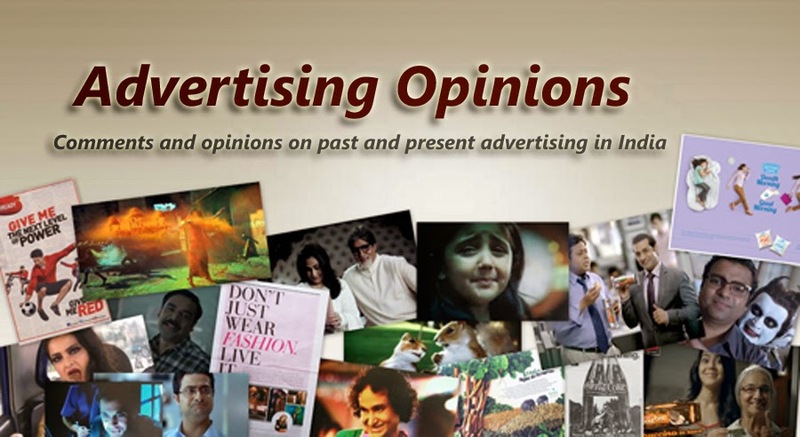 I would like to put down some thoughts and comments on some of the recent and current ads: Corelle, Parachute Scalp Therapie, Makemytrip.com, Sonic branding -- Storyboard, Frooti, Monster.com and Fanta. The ad says that in order to demonstrate that Corelle Glass Dinnerware “is still as durable as ever” the runway was greased. The ad shows a model fall and drops the Corelle plate she was holding, but the plate does not break. This is one of oddest ads I have ever seen. Are they using humour in the ad? By the look of the ads it does not seem so, in fact it is a bit horrifying to see the lady fall suddenly. Surely there are other ways to show the durability of the product. I think ad filmmakers go a little overboard at times with postproduction to give ‘a look and feel’ to an ad. The Parachute Scalp Therapie ad is one such example, I think the postproduction part was a bit overdone especially the model was worked upon to such an extent that she looks rather artificial – almost like an avatar of herself. What you see in this ad was actually shot in a restaurant in Hong Kong to get the right ambience and feel, which may be true for the full version of the film but in the shorter version of the film only the indoor part is shown one does not get the feeling that the film was shot in a foreign location, it could well be any Chinese restaurant anywhere; it is the shorter version one sees more often. What I do not understand is why they had to give the ad a lemon yellow look, what purpose has it served? Sometimes ad filmmakers overdo things at the post-production stage; I think it would have been better if they kept the normal colour instead of the lemon yellow cast. The ad is quite funny and I like it despite the lemon yellow look. Watch the TV commercial here. Well, this is not an ad I am commenting about but ‘Storyboard’ – the TV programme on CNBC has new signature tune, it is supposed to be ‘sonic branding’. Now let me explain what it is supposed to mean. Sometime this summer a section of an episode of Storyboard was devoted to sonic branding; the new signature tune was introduced and it was explained that it was a new approach to branding; just as visuals are used for branding, in this case it is sound (new signature tune) that is being used for branding. It was claimed that it is a new form of branding. To my mind this is totally incorrect or rather a false claim. Sound in form of voices and music have been used for branding or for creating brand identity for several decades, the composers of the new signature tune for Storyboard are attempting to create an impression that it is a new concept developed by them; it is actually old hat, only thing that is new is the fancy name that they have given -- Sonic Branding. Take a look at the video below and decide for yourself. In the year 2010 the Frooti campaign was the prank series where huge sized mangoes were shown falling and tumbling to the utter surprise of the unsuspecting public and in the 2011 we saw mango theme games, where adults are shown having fun. I was hoping to see some innovative campaign in 2012 too; this year’s campaign uses the theme of romance and is quite lacklustre in comparison. Perhaps this campaign might get some mileage in south India since they have used a south Indian actor. I would like conclude this post with a short comment on the Fanta ad -- Mann Uchhal Uchhal Jaaye which was on TV in 2012. I love the animation, the ad is quite entertaining, the fun aspect comes through beautifully and the cartoon characters are delightful.